Day 3 – I walked without a (noticeable) limp. It was awesome! Matt and I met up with some friends and played a round of frisbee golf. At first I was a little tentative about planting my leg to throw but I soon forgot about my knee. It was great to catch up, breath in the fresh air and go for a long walk. It was exactly what I needed after being cooped up all day. We already have another frisbee date planned for Wednesday! Today I am thankful for friends. They pick my spirits up when I’m feeling down, and help me to realize that in the grand scheme of things this set back is no big deal. 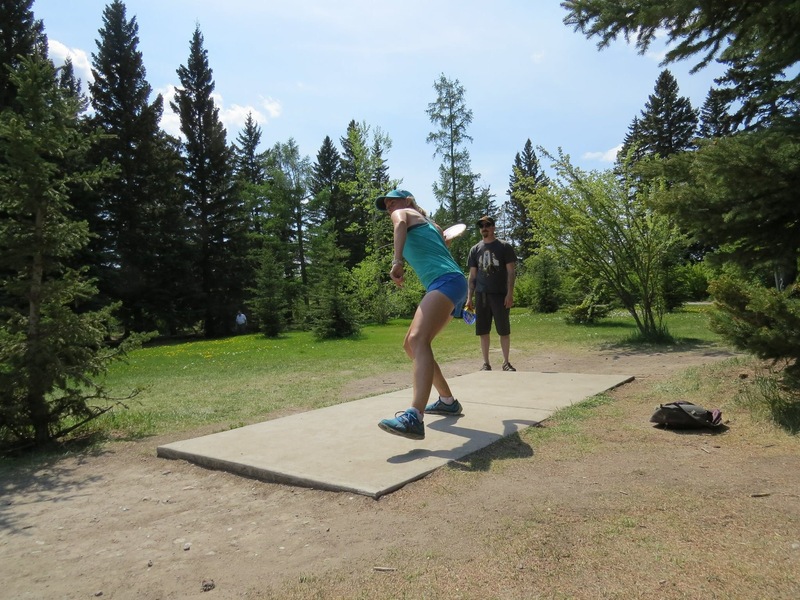 Playing frisbee golf earlier this summer. This entry was posted in Uncategorized on October 23, 2015 by joannaruns.